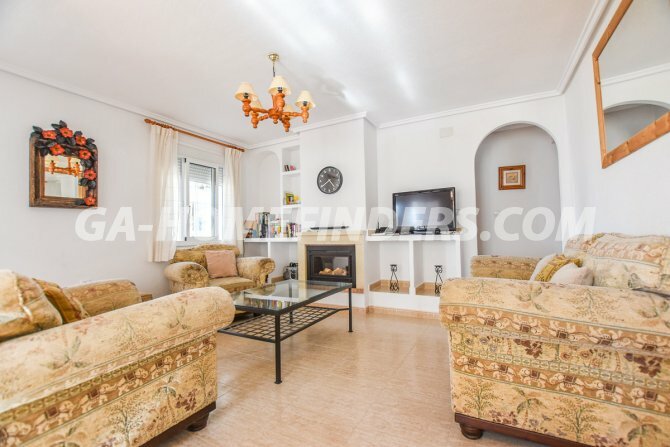 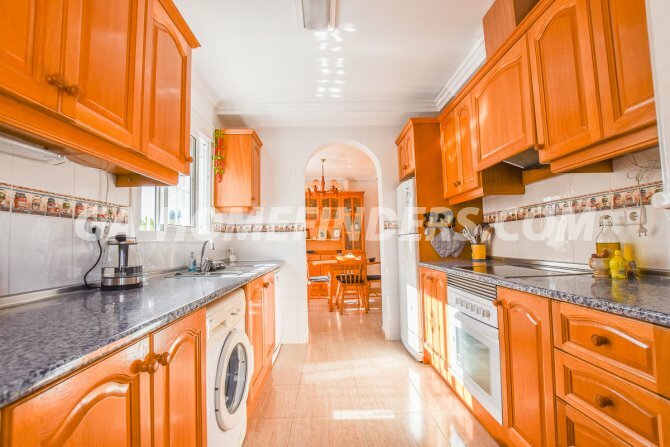 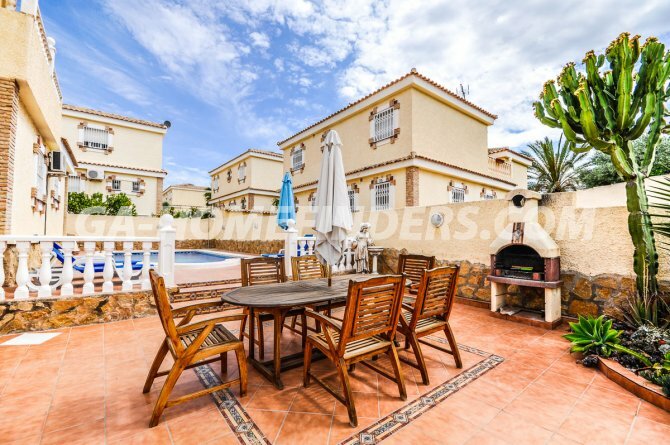 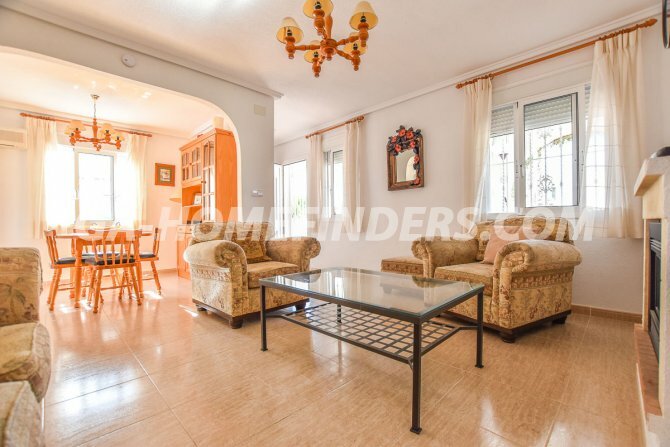 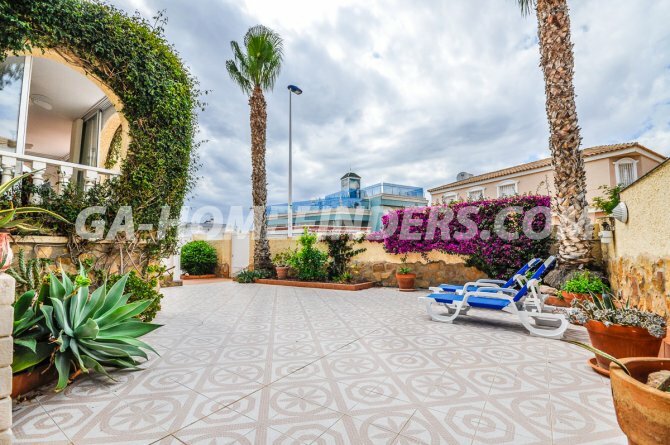 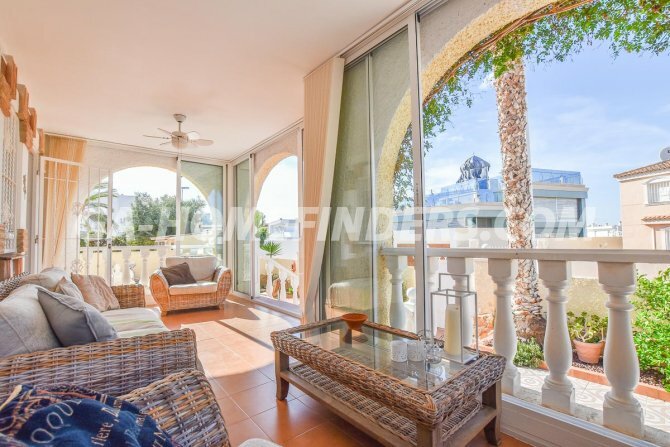 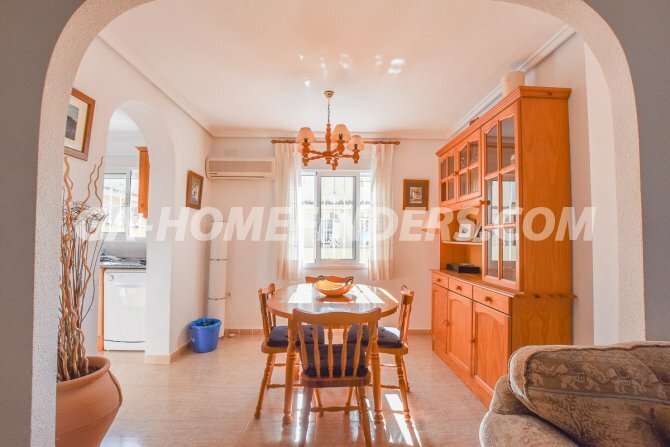 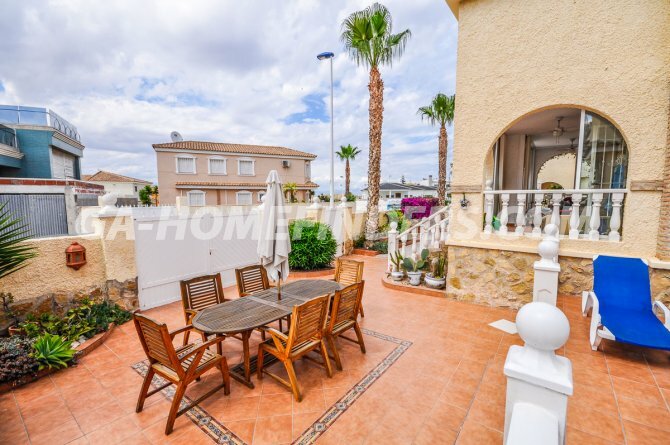 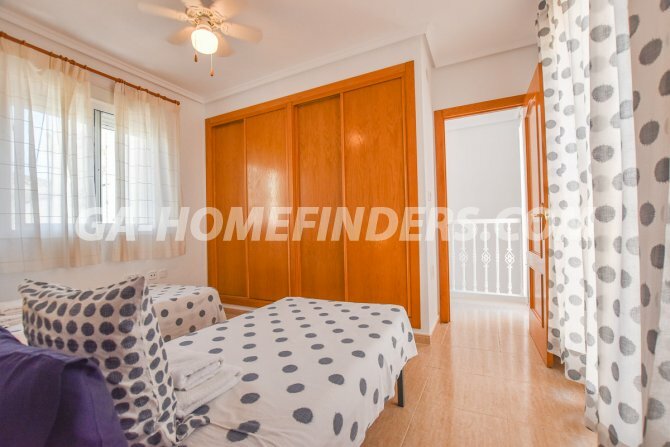 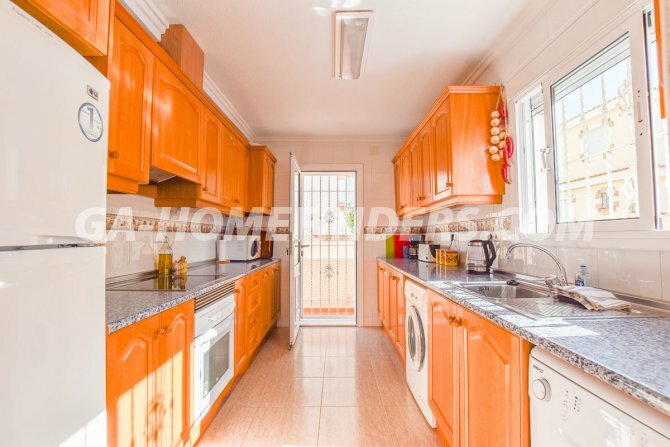 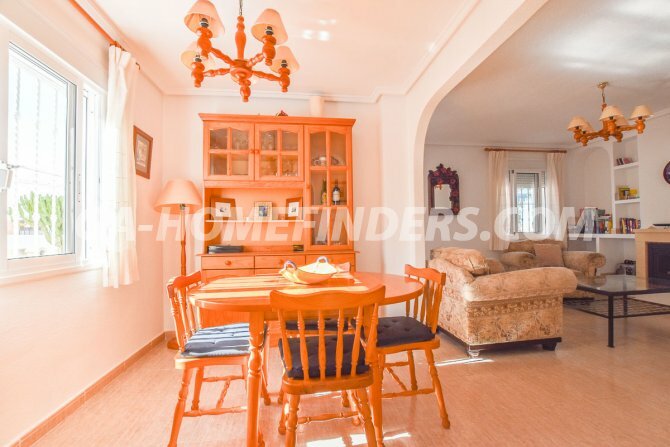 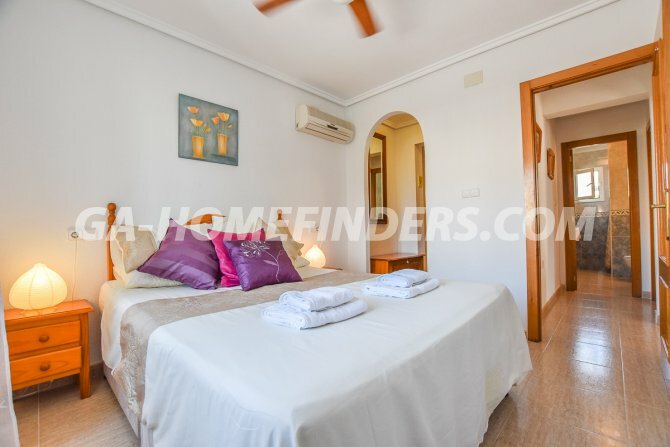 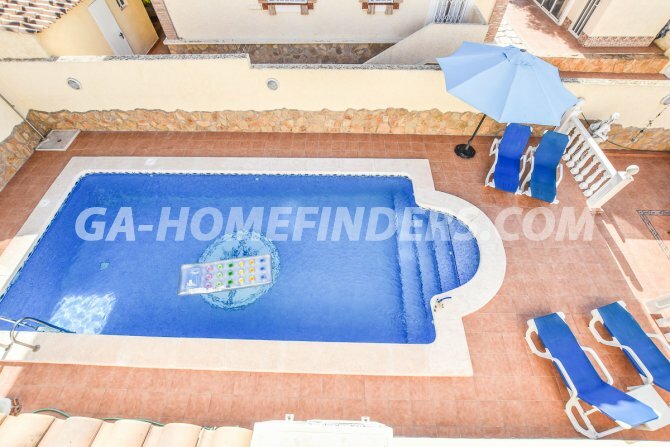 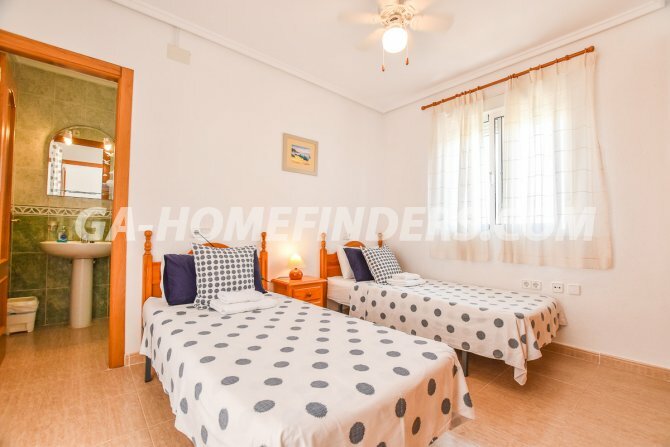 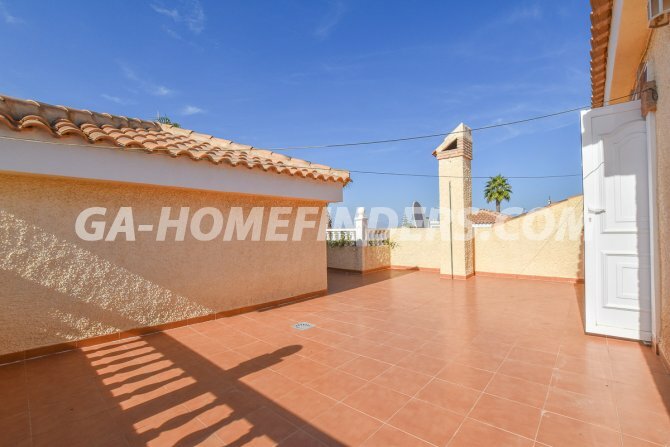 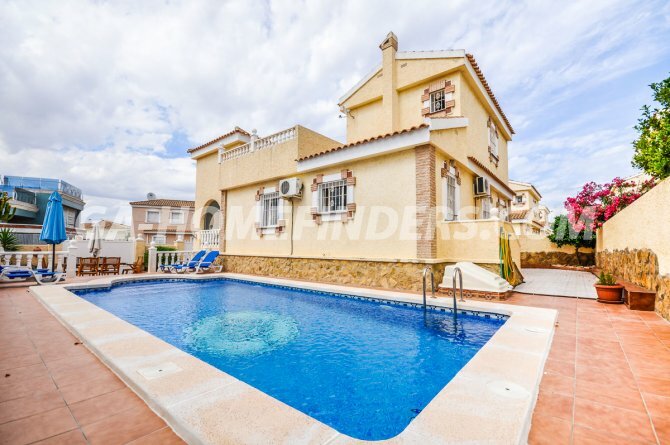 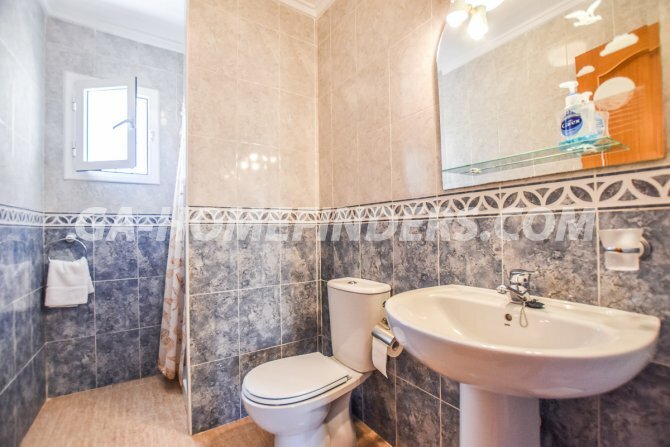 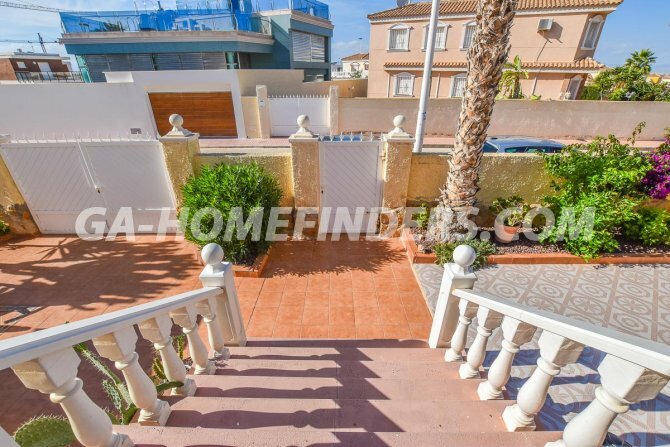 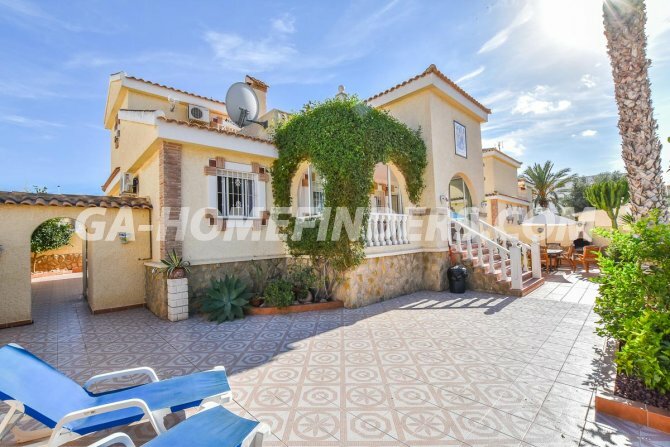 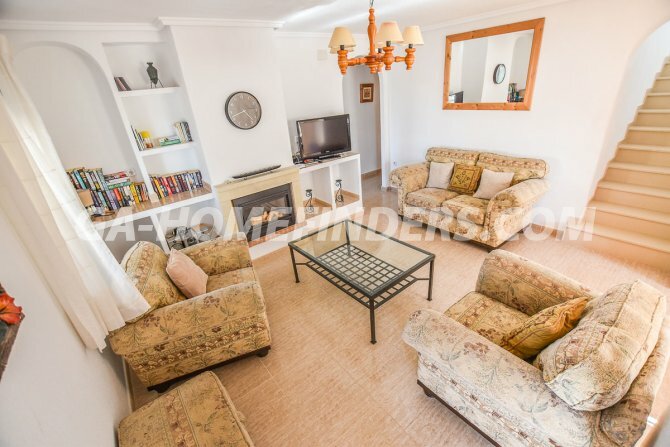 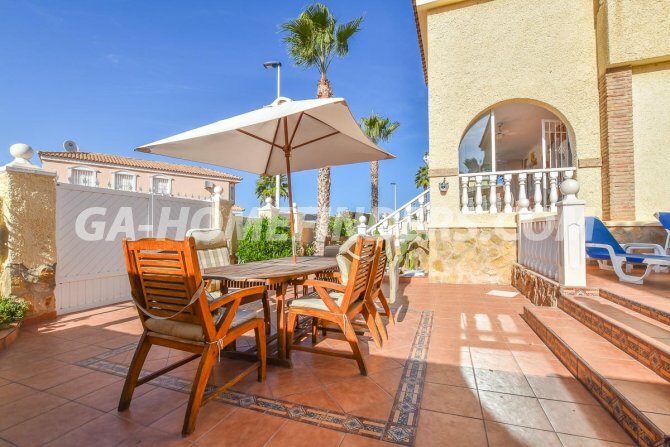 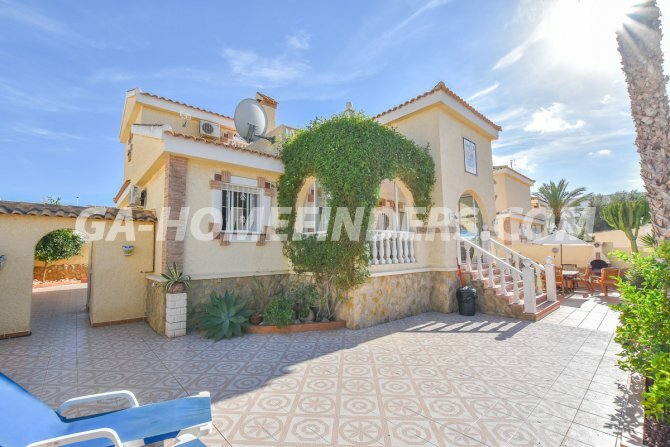 Detached furnished villa with 3 bedrooms and 3 bathrooms. 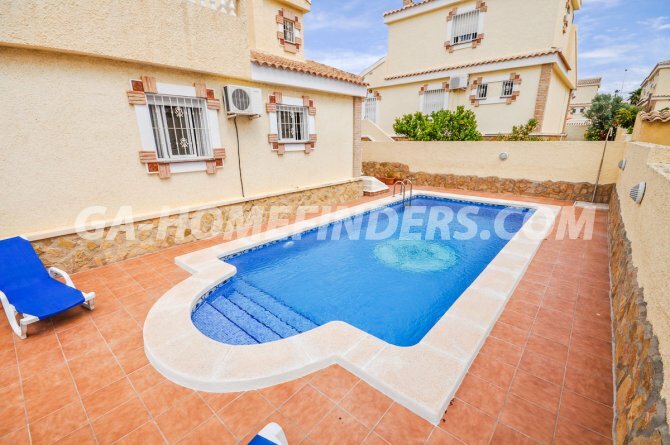 The garden area is spacious and there is a private pool at the side of the house. 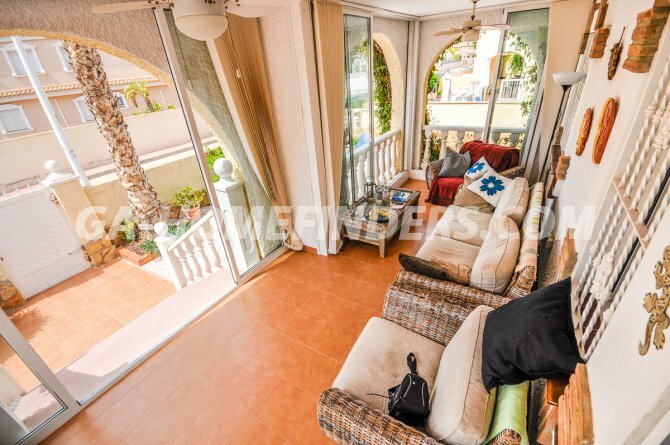 At the entrance of the villa there is a glazed porch which is furnished as an additional sitting room. 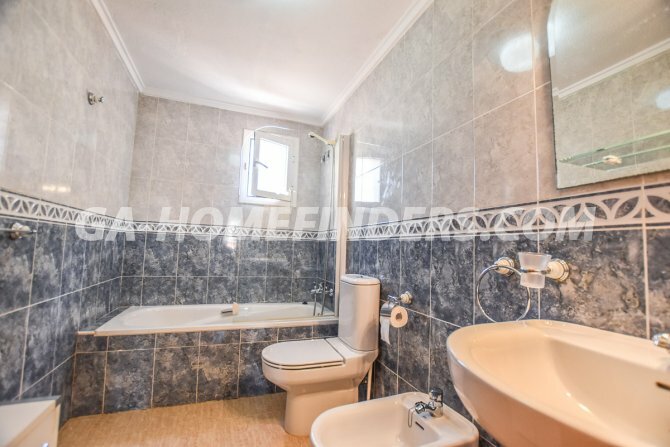 On the ground floor of the house there is a living room with fireplace, kitchen with all appliances, two bedrooms with fitted wardrobes, one with en suite bathroom and a guest bathroom. 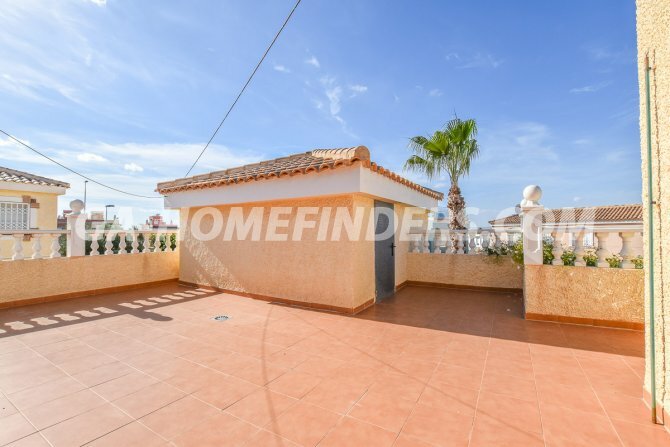 On the first floor there is a bedroom with en suite bathroom and a large solarium with wonderful views. 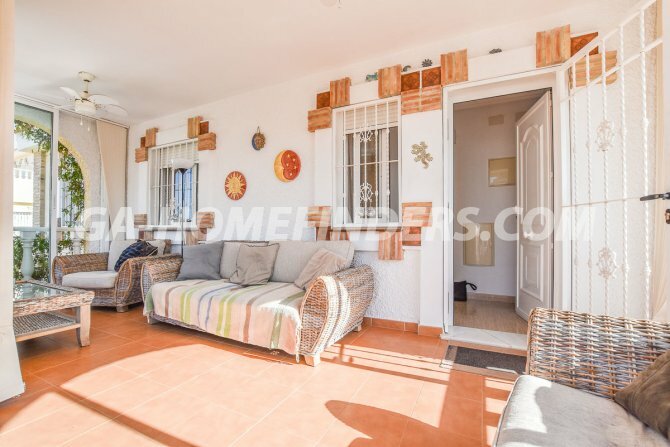 All the windows have shutters and grills and there is air conditioning throughout the villa. 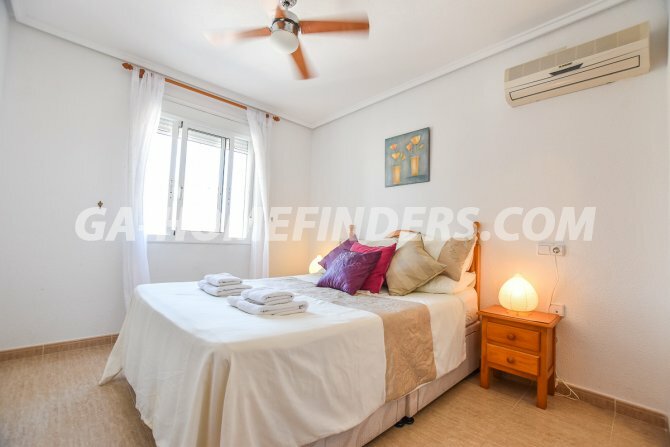 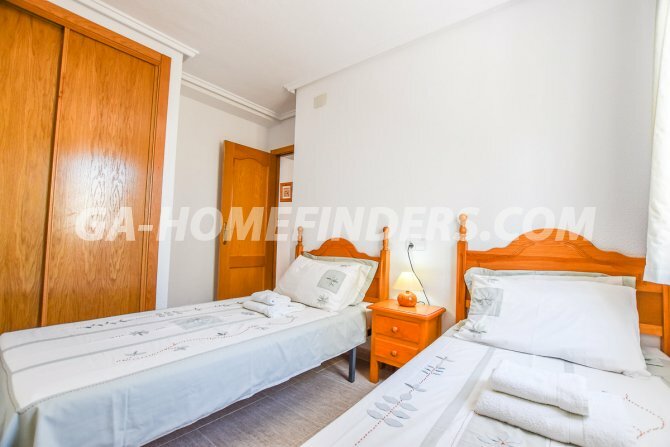 It is located in the lower part of Gran Alacant within walking distance of two commercial centres.